Crafting with smudge can be hit or miss. Her attention needs to be grabbed. If an activity doesn't do this then I can expect a peaceful crafting session while smudge is off doing something else. 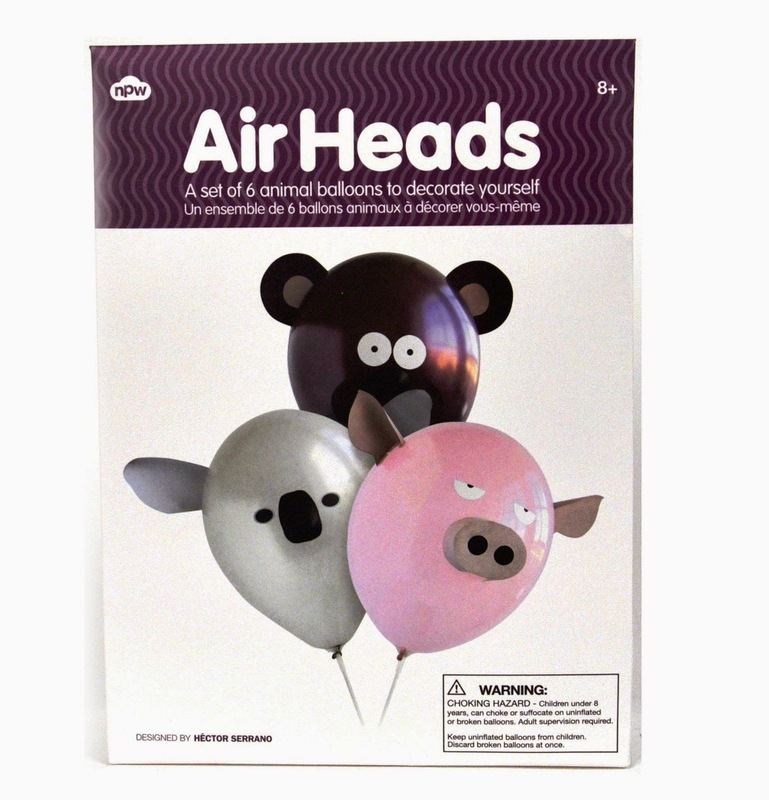 When I saw the Air Head balloon animals I wondered if I should bother. They were on Achica for £5 and loving a bargain I was unable to resist. For once I am really pleased I have no will power in the face of perceived money saving. With g working a back shift and smudge under the weather, Sunday afternoon was the ideal time to create. The kit contains everything you need, all the paper shapes are perforated so we didn't even need to find the interesting place smudge had hidden her scissors and the double sided sticky dots made sticking the appendages to the animals easy. By easy I of course mean that I didn't teach smudge any new swear words fighting with the sticky tape. I was concerned why this had an 8+ age recommendation but would say this was pretty accurate as smudge needed a fair bit of assistance. Folding some of the paper noses, horns and ears was fiddly and not something she had the patience or dexterity for. Also I've yet to meet a child who can tie a balloon knot. That said I had smudge in fits of giggles fighting with an incredibly inflexible grey rhino balloon trying to tie a knot. Doing this together was all part of the fun and meant we had a really good afternoon sat on the living room floor making up silly voices for the animals and trying to pick a favourite. 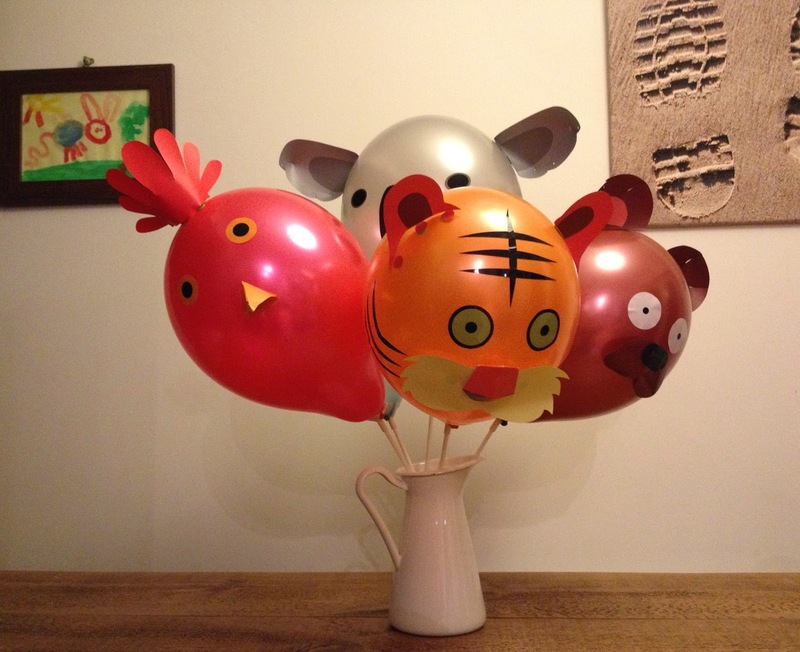 The only downside to these is that I now I have a vase of balloon animals on my dining table. I'd much rather have flowers!